This course has been updated! We now recommend you take the Reactive Angular with NgRx course. 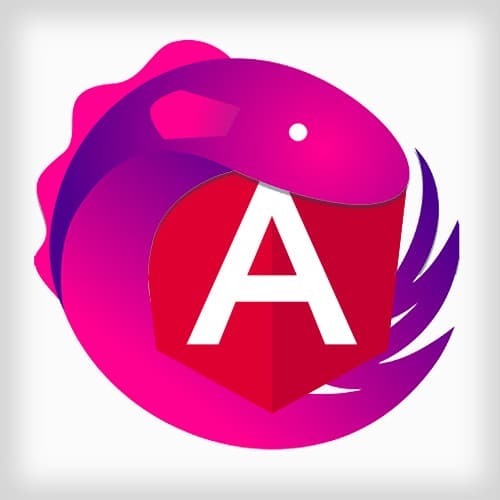 Lukas Ruebbelke introduces course on Reactive Applications with Angular 2 by outlining the course agenda and sharing links to the sample demo application and other code examples. Students are challenged with downloading and running the example application. Angular 2 ships with mechanisms to help manage complexity in large applications: objects that maintain a list of dependents (observables); async pipes are used to bind to observables; and immutability alleviates the burden of change detection. In this challenge, students identify the major reactive components in the sample application. Lukas breaks down the solution into two parts. Lukas walks through the demo Reactive Angular application. Led by audience questions, Lukas continues the code review of the Reactive Angular application. A reducer is a method that takes in the current state and an action. Based on the action, the reducer will return a new state. Reducers and their initial state are registered in the application with provideStore. After talking about reducers, Lukas demonstrates how the store.select() and store.dispatch() methods are used. Then he takes questions from students. In this challenge, students create a reducer for the selectedWidget, register the reducer with provideStore, and then use the store.select and store.dispatch methods. Lukas walks through solution for Challenge 2. Taking questions from students, Lukas reviews redux pattern implementation. Before working on Immutable Operations, Lukas reviews Redux with the students. Lukas walks through solution for Challenge 3. Lukas reviews the solutions brought by reactive application development: to manage state, control flow, and handle code volume. Then Lukas introduces Observables as a powerful way to encapsulate, transport, and transform data from user interactions into an application. In this challenge, students make a clicker that increments and decrements with Observable Streams. Combining multiple Observable Streams, Lukas shows how to use Observable.merge() method. Lukas walks through solution for Challenge 5. Introducing handling async operations and multiple models, Lukas reviews strategies of dealing with reactive data to program reactive Angular 2 applications. Through a brief code example, Lukas demonstrates how reactive operations that are asynchronous can be delegated to a service that is responsible for dispatching the appropriate event to the reducers. Complex observables can be composed of multiple observable streams using the Observable.combineLatest() method. Lukas demonstrates how this type of "computed observable" receive updates anytime one of the streams is changed. Concluding the workshop, Lukas thanks his students.